I mentioned in a previous review of Louis Gerteis' Civil War St. Louis that the book would have benefitted immensely from a map of the city to orient readers unfamiliar with its landmarks and street system. A nice little book exists that can serve as a useful companion volume for interested readers. William C. Winters' The Civil War in St. Louis: A Guided Tour both explains events and helps readers locate important Civil War sites in the large modern city that is today's St. Louis. Subject matter ranging from prominent military and civilian figures to buildings is presented. The Camp Jackson Affair is detailed and several maps are provided that allow modern visitors to follow the events of the surrender and its tragic aftermath. Winters' work is sufficiently scholarly with detailed notes and a bibliography included. It is also an attractive book, full of photos, illustrations, and maps. I appreciated the detailed reproduced map of the extensive ring of forts built by the Federal garrison for the landward defense of the city. 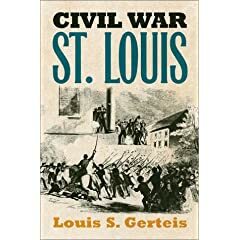 Gerteis: "Civil War St. Louis"
By the middle of the 19th Century, the small river town of St. Louis, Missouri had been transformed into a thriving metropolis teeming with commerce. The radical changes brought to St. Louis by the influx of German immigrants and New England businessmen during the 1850’s went a long way toward fulfilling the city’s dream of becoming the true “Gateway to the West”. In only a short time, these rising political and economic forces gained the strength to challenge the conservative, pro-slavery majority in the state. St. Louis became a microcosm of the sectional issues that gradually tore apart the country. 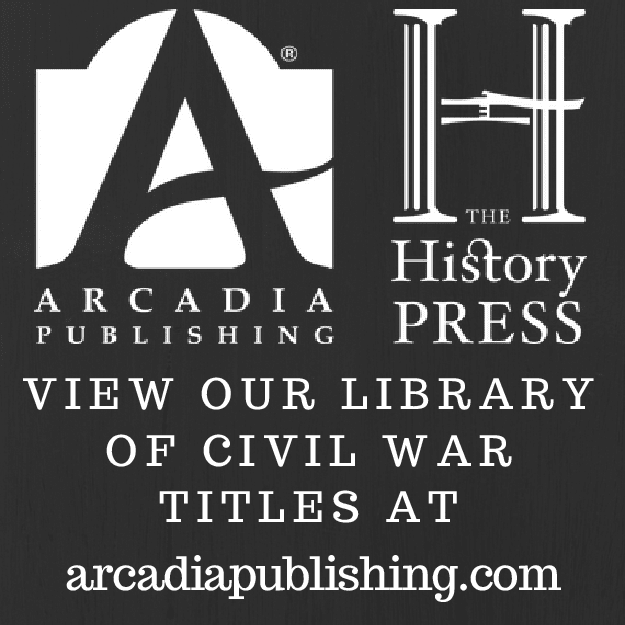 The reader of Civil War St. Louis is introduced to an astonishing range of people and events. While focusing on the Civil War years, author Louis Gerteis’s traces in extraordinary breadth and detail the experience of St. Louisans from antebellum times through Reconstruction. From the Camp Jackson affair, Gerteis moves to the imposition of martial law and suspension of civil rights by Federal authorities. Conditions at Gratiot Street Prison and similar facilities that housed a large array of inmates are described in great detail. The story of organizations such as the Western Sanitary Commission and the Ladies Union Aid Society is told. Furthermore, the vital role of women in these groups and in the multitude of military hospitals is prominently featured. The author also traces the construction of the Federal ironclad river fleet and recounts its service on the Western waterways. Included at the end is a short chapter on Reconstruction. Overall, in what must have been a rather difficult task, Gerteis deftly illuminates for the reader the complex politics and realities of slavery in a conservative slave state loyal to a Federal government that increasingly became bent on the institution’s destruction. Of course, no book is without flaws and a few errors made their way into the final text. For instance, Colonel Emmet McDonald was killed at the Battle of Hartville rather than at Huntsville and Lincoln of course was the 16th president not the 14th. Additionally, though the book is well-researched and highly detailed, it is rather thin on critical analysis when dealing with intensely controversial issues such as the Federal imposition of martial law and suspension of civil rights. While naval events are detailed, other military aspects are largely overlooked. The reality of St. Louis’s wartime role as a vital military nerve center in the West is greatly underdeveloped. Depictions of soldier life at Camp Benton and Jefferson Barracks and of the construction and occupation of the chain of forts surrounding St. Louis are almost entirely absent. Lastly, a period map of the city and environs would have been of great help to the uninitiated as most places and events in the book are located for the reader with street addresses as the sole geographical reference. These issues aside, Mr. Gerteis has written a fine addition to a growing body of studies that deal comprehensively with the wartime experience of specific cities and towns. Readers interested in the political, economic, ethnic and racial divisions in a unique Border State city will find much to learn about and admire in this book. In a blog posting today, historian Eric Wittenberg laments the comparative neglect of Civil War sites and battlefields in North Carolina. Eric has also helpfully provided a list of sites there complete with links. I have a great interest in the war in North Carolina and view the Union operations there post-Burnside Expedition as one of the great underexploited opportunities of the war. Luckily for us, the great overshadowing of sites in the Old North State by those in Virginia is compensated somewhat by a number of books that rank among the best of all Civil War military studies. Last Stand in the Carolinas: The Battle of Bentonville. This Astounding Close: The Road to Bennett Place. The Burnside Expedition in North Carolina: A Succession of Honorable Victories. The Wilmington Campaign: Last Departing Rays of Hope. Fort Anderson: Battle for Wilmington. Moore's Historical Guide to the Battle of Bentonville. The Cincinnati Civil War Round Table has one of the more attractive websites as CWRTs go. My favorite section is reached by pressing the 'Panic On The Ohio!' button. Several excellent articles by Geoffrey Walden, Dave Roth, and James Ramage are reprinted here with the permission of Blue and Gray Magazine and are available in PDF format for download. All deal with some aspect of the civilian and military response in the city to Bragg's invasion of Kentucky in the summer of 1862. In keeping with my primary Civil War related interests, I enthusiastically collect any good book having to do with the conflict in Kentucky during the first two years of the war. Perhaps if anyone is interested I'll list my favorites in another post, but what I wanted to mention here were a couple that sound promising (although I have no real idea of their quality) but have so far eluded me. A recent publication that I did obtain thanks to its mention in Dimitri's Civil War Book News was Raymond Mulesky's Thunder From a Clear Sky : Stovepipe Johnson's Confederate Raid on Newburgh, Indiana . I've only been able to glance through it so far. Once I finish reading it I'll publish my thoughts on it in a separate post. McGhee, James E. ed. GENERAL M. JEFF THOMPSON’S LETTER BOOK JULY 1861-JUNE 1862. Independence, MO: Two Trails Publishing, 2004. Illustrated, index, paperback. McGhee, James E. LETTER AND ORDER BOOK, MISSOURI STATE GUARD 1861-1862. Independence, MO: Two Trails, 2001. McGhee, James E., comp. VOICES OF THE SWAMP FOX BRIGADE: SUPPLEMENTAL LETTERS, ORDERS AND DOCUMENTS OF GENERAL M. JEFF THOMPSON’S COMMAND 1861-1862. Independence, MO: Blue and Grey Bookshop, 1999. Bartels, Carolyn M., CONFEDERATE STATES ARMY TRANS-MISSISSIPPI ORDER BOOK 1862-1864 BRIGADIER GENERAL JOHN S. MARMADUKE. Independence, MO: Two Trails Publishing, 2000. Hardcover, 2 vols. in one. These letter and order books are a good resource, and Two Trails Publishing and Camp Pope Bookshop have been printing and reprinting valuable Trans-Mississippi primary source materials for many years. Click on the above links for more information on these titles and more. Page Number, "First two words of passage to be cited...last two words", Source. 55, "Lincoln said...a general. ", O.R. 55, "Stanton raged...the rebels. ", M.O.S. I seem to recall that Goodwin's Team of Rivals uses the same method. I personally find it a clumsy methodology and unnecessarily burdensome to the deeper readers who wish to examine the notes. Clearly, it is an author/publisher compromise between the sales requirements of pop history and the author's desire for his or her work to be treated as serious history. I wasn't aware that this was even an acceptable method of citation (maybe some of our friends in the publishing arena can comment on this). I remember reading an interview several years ago with an editor of a major publishing house. He stated that, all other things being the same, the mere presence of notes can take a book from successful sales numbers to an utter commercial failure. Those tiny superscripted numbers scattered throughout the text are oh so intimidating. McKinney: "The Civil War in Greenbrier County, West Virginia"
During the Civil War, Greenbrier County, West(ern) Virginia had the misfortune of occupying a place on the map that was strategically important to both sides. The James River-Kanawha Turnpike was a made to order avenue for invasion and its course ran right through the county seat at Lewisburg on its way to the upper Shenandoah Valley. Mineral and resource rich itself, Greenbrier County was additionally located only a short distance north of the vital salt works at Saltville and the critical east-west running Virginia and Tennessee Railroad. All of this geographical importance translated into invasion, occupation, and material devastation for the area’s inhabitants. With this book, Tim McKinney, author of a number of West Virginia history and reference works, has contributed greatly to our understanding of the Civil War in western Virginia. The many battles and raids that crisscrossed throughout Greenbrier County are detailed here, including the relatively little known engagements at Lewisburg, White Sulphur Springs, Sinking Creek, and Tuckwiller Hill. Union General George Crook’s 1862 victory at Lewisburg over a Confederate force led by Henry Heth is given the most thorough treatment. Although much of the book is dedicated to military matters, the civilian experience is far from ignored. The citizens’ grim struggle to survive in the face of constant raids and arbitrary seizure of life, sustenance, and property is starkly portrayed. Civilians were often arrested and held as hostages and the infamous hanging of prominent civic leader David Creigh provides a clear example of the hazards of living in a war zone. Being one of the solidly pro-Secession counties to be attached to the new state of West Virginia only added to the post-war burdens of the people of Greenbrier County. The story of the region’s many spas and resorts is also told. The famous Old White Hotel at White Sulfur Springs quickly went from vacation spot for the rich and famous to a Confederate hospital and supply depot. Only by sheer luck was it spared the incendiary proclivities of Union General David Hunter. The Civil War in Greenbrier County is obviously a labor of love and the product of years of careful research. Almost half of the entries in the bibliography are manuscript sources. As an added bonus, a great deal of reference material is interspersed throughout the text and in the appendices. The only significant complaint I have with this fine work is the absence of a detailed county map that would make the geography-heavy text more welcoming to outsiders. This particular region is clearly important enough in the conduct of the war to merit attention beyond local interest. Overall, this history is an excellent addition to Quarrier Press’s long line of books dealing with West Virginia’s Civil War heritage. The January 2006 article of America's Civil War magazine has an article written by William Marvel on the subject of the possible usefulness of the creek crossings on the Union left flank during the battle. The author waded through the creek himself and recorded the depth at various places. He seems to make the quite reasonable assumption that the flow today is about the same as it was back in 1862. What makes me think twice about this is an episode of Battlefield Detectives I watched a few nights ago that investigated the Revolutionary War battle at Oriskany. The cartographer/geographer was puzzled why the raging creek of today on a key area in the battlefield was not noted on period maps. After studying the problem, he posited that the considerable deforestation and other vegetation losses in the intervening years led to a high erosion situation that resulted in a far greater volume of free water flowing into low lying areas. Thus, rivulets are transformed by the increased runoff into creeks and creeks into small rivers and so forth. Makes me wonder if Marvel took this possibility into consideration. Wood: "The Civil War Along the Lower Kansas-Missouri Border"
Though the Civil War in the Trans-Mississippi still occupies a relatively small space in the popular imagination, recent years have seen an explosion of new works on a wide variety of subjects dealing with the war beyond the Mississippi. A large portion of these books, most of which are published by small presses, covers the conflict in Missouri. Control of the state of Missouri was vitally important to each side’s war effort, especially in the first two years of the war, and thus this particular region is a richly deserving area of study. 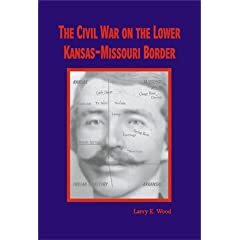 Larry Wood, a writer and retired schoolteacher, has published a new edition of his military history of the often brutal and unforgiving internecine warfare that raged across southeastern Kansas and southwestern Missouri [The Civil War on the Lower Kansas-Missouri Border (Hickory Press, 2003). Pp. 249, $ 17.95, 2nd Edition, completely revised. Paperback, illustrated, map, notes, appendix. ISBN 0-9702829-1-5]. The geographical focus is narrow, purposefully avoiding the better known stories of events such as Wilson’s Creek and the sacking of Lawrence in favor of more obscure but locally important skirmishes and battles. Both sides launched savage raids, leading to the burning of several locally prominent towns such as Osceola, Humboldt, Sherwood, and Nevada. Further military actions at Carthage, Dry Wood Creek, Island Mound, Newtonia, and Germantown are briefly described in the text while the events of the Battle of Mine Creek, Shelby’s 1863 “Great Raid”, and Baxter Springs are recounted in greater detail. Although the writing is a bit unpolished, the comprehensiveness of this fast-paced book is impressive. Excepting chapters chronicling the depredations of Jim Lane and his Kansas Brigade, much of the book’s focus is on the actions (and atrocities) of pro-Southern Missouri regular and irregular “bushwhacker” forces and the response to these attacks by regular federal forces from several states and pro-Northern Missouri militia. Entire chapters are devoted to the actions of lesser-known guerilla leaders such as Tom Livingston and John Coffee. Unfortunately, this emphasis may lead the unwary reader into having a one-sided view of wartime atrocities in Missouri. While the author provides a balanced account of abuse and property loss, the same cannot be said for the subject of murders and executions. It should have been made more explicitly clear that both sides murdered civilians and performed unlawful executions on a similarly unfortunate scale. Other flaws include an inadequate number and quality of maps. The single map provided is too general and does not show county boundaries or the location of many towns and landmarks mentioned in the text. On the technical side, an unfortunate printing mistake has led to the omission of headings I through M in the index. Additionally, as a general criticism, along with a more balanced depiction of wartime atrocities, a more in-depth exploration of participant motivations and strategic considerations was needed. On the positive side, the book is adequately researched. The author makes good use of official records, newspapers, county histories, manuscripts, and select secondary sources. For those not familiar with the area, a useful appendix listing and describing relevant area museums and historical sites to visit is included. 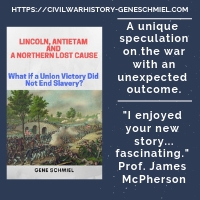 Overall, The Civil War on the Lower Kansas-Missouri Border provides the reader with an intriguing regional history that brings to light many little known wartime episodes and personalities. Students of the Trans-Mississippi theater in general and the Missouri brand of guerilla warfare in particular will find a great deal of useful information in this book and many ideas for further study. "The Civil War in Louisiana"
In my frequent searches for specialized books, I often come across good ones that are completely unpromoted. Some places you swear are trying to collect their own books! The Center for Louisiana Studies has published a nice series for the Louisiana Purchase bicentennial. Volume V, Part A of that series is titled The Civil War in Louisiana: Military Activities and is an excellent 750 page collection of previously published essays and journal articles. Go here for a table of contents. Alternatively, those readers more interested in social and political subject matter have Part B, The Civil War in Louisiana: The Home Front for their perusal. 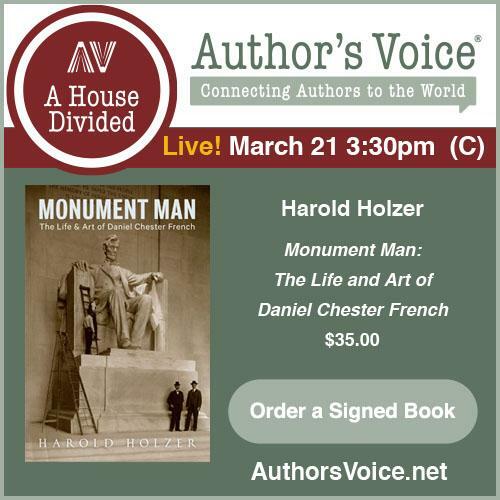 Click on this link for more information about this book, including a contents list. Both A and B are edited by noted Louisiana historian Arthur Bergeron, Jr. and would be great additions to anyone's library of Trans-Mississippi books. The Center recently published a new much appreciated edition of the long out-of-print Yankee Autumn in Acadiana and I plan on regularly monitoring their site for any upcoming reprints or new publications. 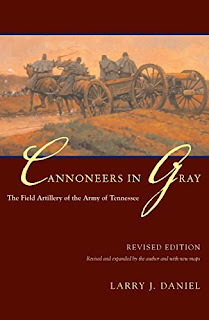 Larry Daniel's Cannoneers in Gray: The Field Artillery of the Army of Tennessee (2005) is a completely revised and updated edition of his 1984 work of the same title. With the inclusion of more tables and new primary source material from both sides, this edition is a significantly better book. Cannoneers in Gray is more of an organizational and logistical study than a combat history. Historians, buffs, and wargamers will appreciate the author's attention to detail in terms of orders-of-battle and battery compositions but one wishes Daniel had gone the extra mile and produced detailed maps and battery composition charts for all the major battles. As it is, you can amass a great deal of information from the notes, text, and tables but Daniel could have made this information collection easier for the reader to assemble. Although a bibliographic essay was included, a proper bibliography would have been helpful as well for those interested in further research. Overall, even with the book's many strengths, the picture is still in an incomplete state for the most demanding readers. Many things strike you as you read the book, mainly how poorly equipped, organized, and supplied the Confederate batteries were in the western theater. Even by 1863, 85% of the Army of Tennessee's guns were either obsolete 6 lb. smoothbores or 12 lb. howitzers. It wasn't until the beginning of Sherman's Atlanta campaign that all the 6 lb. guns were exchanged with Napoleons. It was also at this time, with the arrival of Joseph E. Johnston to army command, that Daniel believes the Army of Tennessee finally achieved a viable artillery organization that could achieve concentration of fire on the battlefield. Among the relentless flood of Gettysburg-related books published each year, relatively few are truly groundbreaking. Fortunately for experienced and novice readers alike, Retreat from Gettysburg is just such a work. Author Kent Masterson Brown’s study begins at the planning stages of the campaign and carefully reconstructs the movements of the Army of Northern Virginia’s logistical apparatus along the army’s invasion route through Maryland and Pennsylvania. For the first time, the story behind the truly massive scale of the “foraging” operations by Lee’s subsistence and quartermaster teams is thoroughly told, almost to the level of being itemized. After a brief summarization of the three-day battle, the bulk of the book comprises a definitive account of the organization and execution of the southern army’s escape back to Virginia. Beyond the purely material aspects of the retreat, the sad odyssey of the thousands of wounded officers and men is heartbreakingly told. As the title suggests, the main focus is on Lee’s army, but the post-battle condition and movements of the Union army (especially the cavalry divisions) are far from ignored. Meade’s own significant logistical problems are illuminated, along with an accounting of the reasoning behind the movements of the Army of the Potomac in pursuit. Long gone (hopefully) are the days when writers will confidently continue to put forth the idea that only Meade’s caution and/or blundering kept the Confederate army from being destroyed. The often severe fighting that occurred during the retreat at places like Monterey Pass, Smithsburg, Funkstown, Hagerstown, Williamsport, and Falling Waters is described at a level of combat detail that readers of tactical histories will find more than acceptable. The accompanying maps cover the important strategic and tactical movements and are both sufficient in number and of a high quality. Additionally, there are some wonderful never-before-published photographs of several personages and sites that figure prominently in the text. Beyond being a great read, Retreat from Gettysburg is exceptionally well researched. The author’s twenty years of gathering source material is readily apparent after viewing the impressive array of archival sources listed in the bibliography. Such skillful use of these source materials provides the reader with probably the best account of a Civil War army’s retreat after a major battle in existence. Although the assertion that the Battle of Gettysburg was not a decisive turning point is not new, Brown contends that it was largely the success of the retreat (and more particularly the saving of the army’s gigantic ordnance, subsistence, and quartermaster trains along with the tens of thousands of captured horses, beeves, and hogs) that allowed the rapid reestablishment of a military equilibrium in the East. Brown argues that the forage and food obtained from the North supplied Lee’s army throughout the rest of the summer and early fall and allowed it to stay in the field and, thus, on balance, the Confederates were able to claim a level of strategic success for the campaign. Whether you agree with this idea or not, this remarkable book deserves the highest of recommendations. I unfortunately haven't gotten further than thumbing through volume one yet but have heard nothing but praise for it. I can't say enough good things about Morgan's work. It is the definitive history of Ball's Bluff by one who is clearly the leading expert on the battle. In my opinion, it was the best battle study of 2004. The third volume "No Such Army Since the Days of Julius Caesar" Sherman's Carolinas Campaign: from Fayetteville to Averasboro by Mark A. Smith and Wade Sokolosky is set to be released soon. I can't wait for this one. Click on the link for more information from the publisher. The fourth volume, which is just about ready to go to typesetting, is titled "The Battle Between the Farm Lanes", by Dave Shultz and David F. Wieck, and deals with Hancock's Corps on day 2 at Gettysburg. The fifth volume, which will be out in the first half of 2006, is titled "One Continuous Fight: The Retreat from Gettysburg, July 4-13, 1863" by J. D. Petruzzi, Michael F. Nugent, and yours truly. It contains two driving tours (complete with GPS coordinates): the route of the Wagon Train of Wounded, and the fighting between Gettysburg and Potomac River. The sixth volume, which should come out about the same time, is titled "Flames Across the Susquehanna: The Gordon Expedition", by Scott Mingus, Sr., and deals with the first skirmishes at Gettysburg, the fall of York, and the burning of the covered bridge across the Susquehanna at Columbia.